With these improvements to version history, you can see and restore older versions of all your files in your OneDrive. Previously, version history only supported Office files. Now, version history is compatible with all file types, so you no longer need to worry about your PDFs, CAD files or even your photos and videos getting accidentally edited—you’ll always be able to restore or download a previous version. OneDrive will keep an older version of your files for 30 days. Expanded version history support has started rolling out and will be available to everyone this summer. 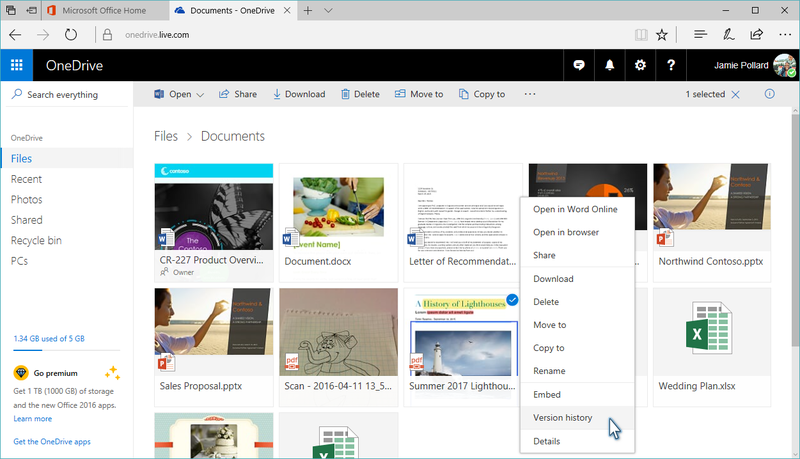 Using the version history is easy; just navigate to OneDrive.com, right-click the file you want to restore or view a previous version and then select Version history. The Version History window shows the date of the previous revisions, who it was modified by and the size of the previous revision. Simply select your desired revision and either click Open File to view or download it or click Restore to replace the current version with the revision you selected. This is just one of multiple steps you will see OneDrive take in making sure your data is protected in OneDrive. 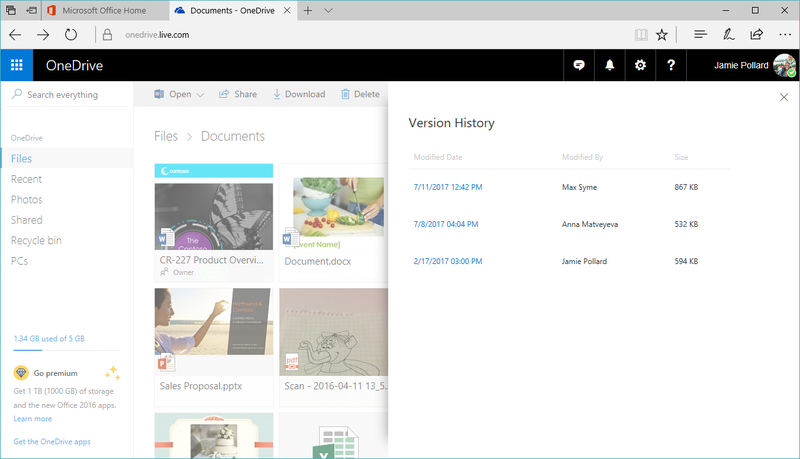 Let us know what you think of our new version history experience and continue to give us feedback on how we can make OneDrive better for you in our OneDrive’s UserVoice.